The new 100" dnp LaserPanel Touch marks a significant breakthrough in large interactive flat screen displays. The combination of dnp's award-winning optical screen technology and ultra short throw laser projector delivers a high contrast image, even under bright light and daylight and is significantly cheaper than LED/LCD flat panel displays of this size. 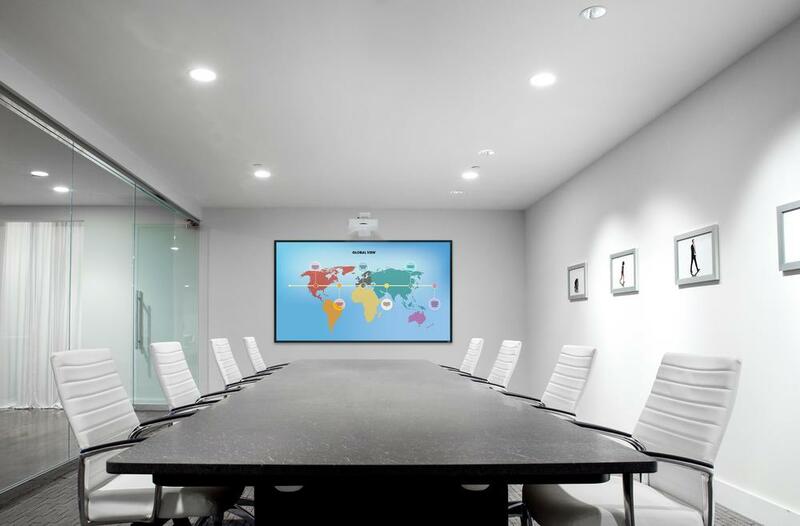 Perfect for interactive presentations, the 100” LaserPanel Touch comes with an interactive camera and IR pen. A Laser Curtain for finger touch is available as an accessory. The Touch solution also enables up to presenters to connect their devices directly to the screen. 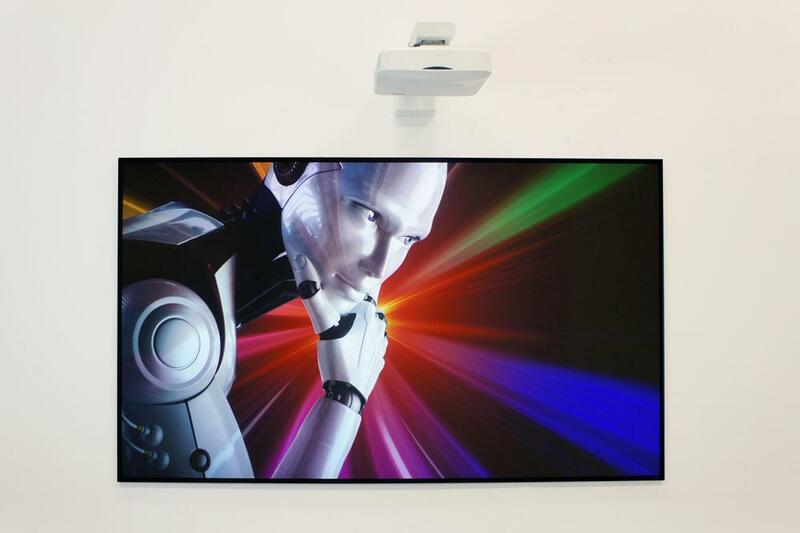 This 100" flat screen is ideal where a large screen is required for situations where space is at a premium and where high ambient light would otherwise result in a washed out image on a traditional projection screen. Included with the LaserPanel Touch is a laser projector, optical screen and projector mount. 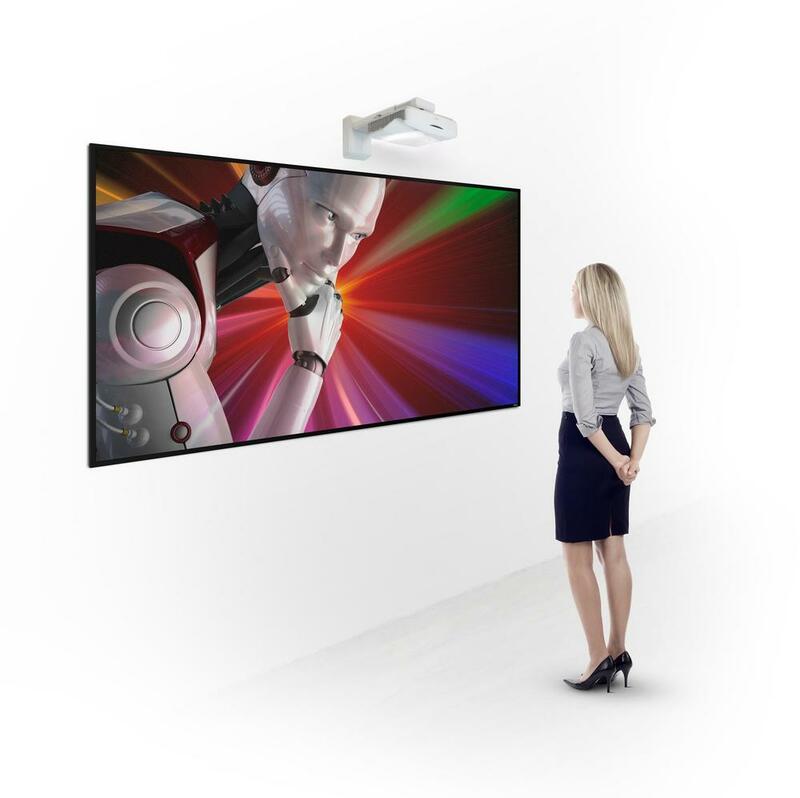 It is easy to install and can be wall-mounted with the projector above the screen. Large LED/LCD flat panel alternatives are very expensive, very heavy and there can be an issue with eye-strain. LaserPanel is designed to a deliver high-contrast images, even in environments with high ambient light, and is optimised for comfortable viewing, at a fraction of the cost. It is the perfect solution for numerous applications including conference rooms, meeting rooms, classrooms, education centres and houses of worship. LaserPanel is also available in a Standard (non-interactive) version see here.